Singapore Marathon 2016: Flag-off Times, Road Closures and Last Minute information | JustRunLah! It’s happening this weekend! 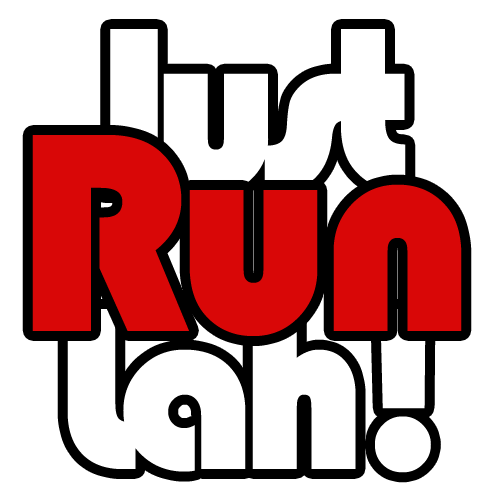 Singapore’s flagship running event is here and it’s your time to… JustRunLah! Check out below important information for your racing weekend. The reporting place depends on which pen the runner is in. Make sure you report to the access point of the pen you belong to (E.g. Pen C – Sub 4 hours (Marathon): Access through Entrance B). 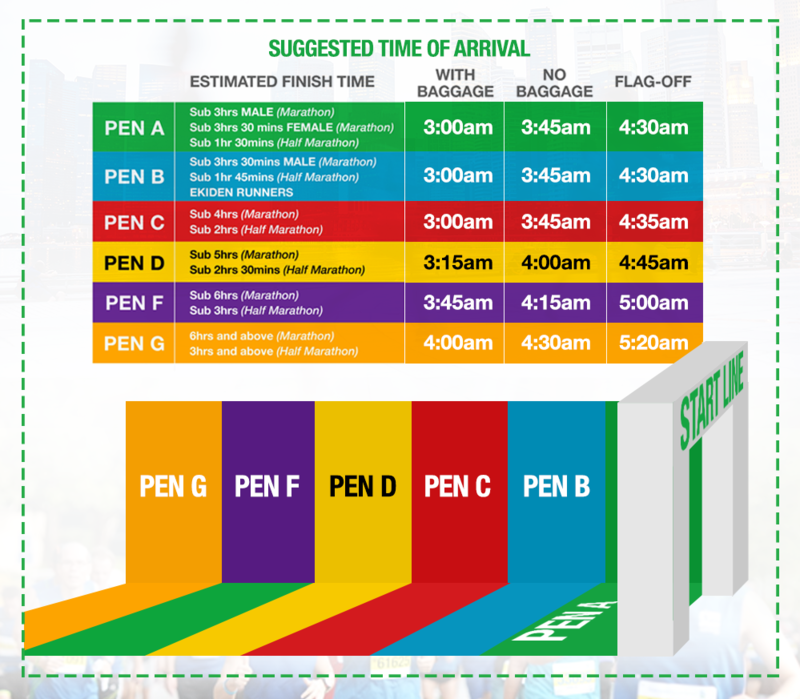 You are able to find which pen you are in on your Race Bib. Access to the start line is based on your Start Pen allocation. Make sure you report to the access point of the pen you belong to (E.g. 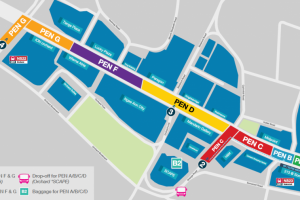 Pen C – Sub 2hrs (Half Marathon) : Access through Grange Road). You are able to find which pen you are in on your Race Bib. 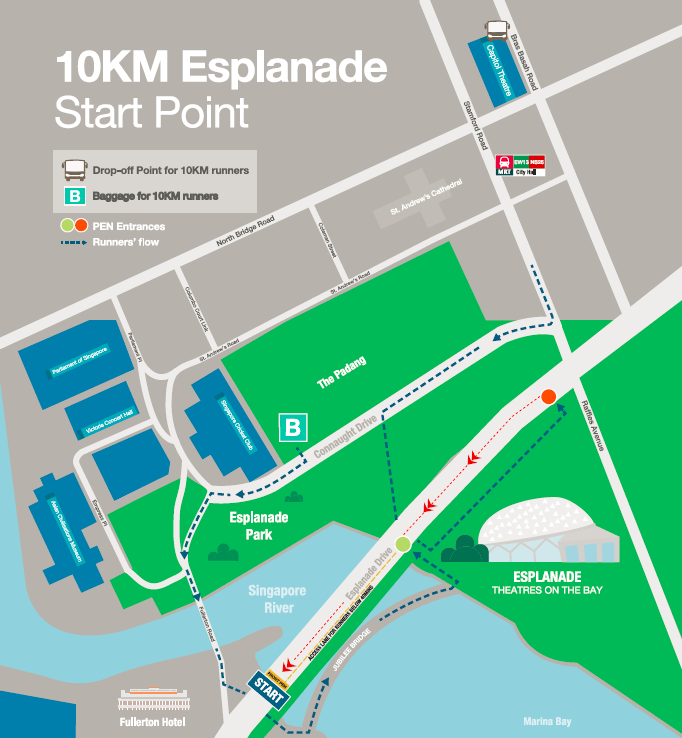 Access to the start line is on first-come first-served basis so make sure you report early to get a nice spot at the front. 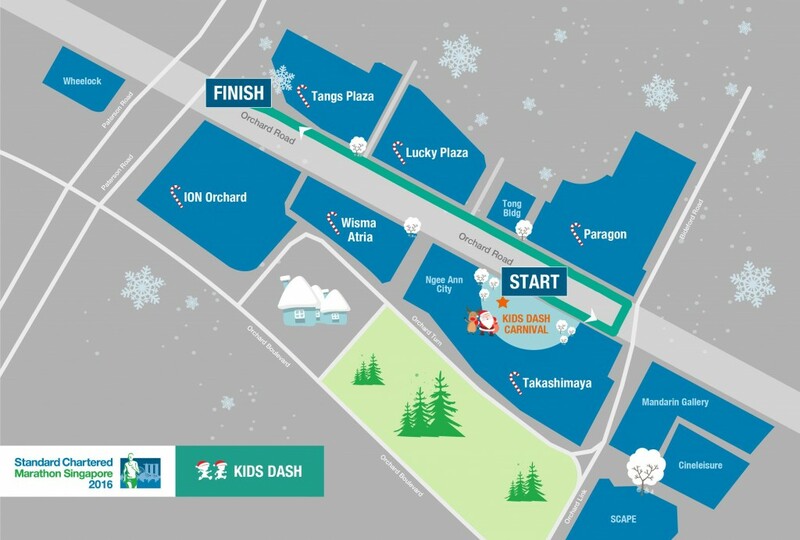 The first participant of the team will begin the relay at the same start point and time as the Marathon participants. Each team member will run a section of the marathon, passing the team sash to their next teammate at each of the five Ekiden points. There will be a total of 300 teams. Click here to download the handbook for Ekiden participants. Kids need to report at least 30mins before flag off time. Kids have to report at the Holding area. The holding area will be at Ngee Ann City Civic Plaza. One can get there through Orchard MRT. Keep track of your results and progress by adding any of the 2000+ races of our database to your own portfolio. Keep your running memories organised and see your timings improving! 4 Articles To Get You Going! Note that: No train service will be available during the early morning of 4 December due to “track maintenance”. The organiser has arranged for private chartered bus. Online purchase online are now closed, as of 25 November 2016, 2359 hrs. 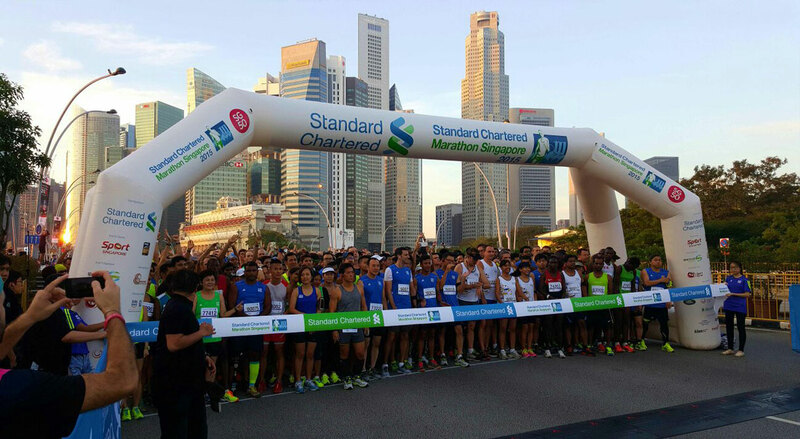 Runners may purchase their private chartered bus tickets at the Race Entry Pack Collection at S$5 per ticket! For alternative transport options, click here. Various areas are affected, including Orchard area, CBD, Downtown, Tanjong Rhu, East Coast and Marina Area. 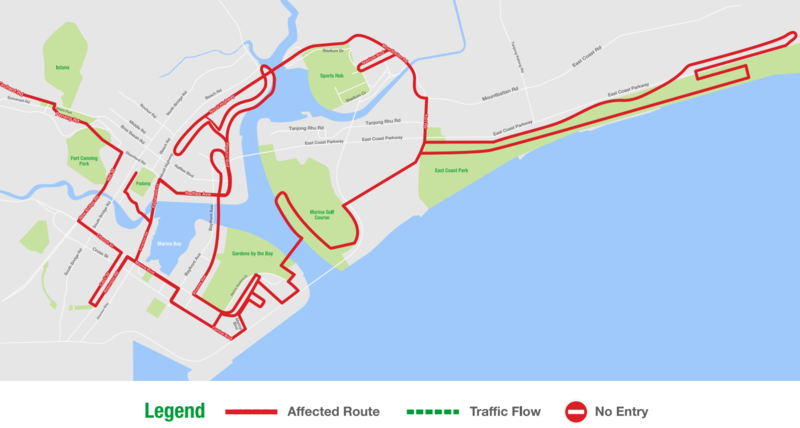 Click here for detailed pdf including times, road names and access areas. Please check the official website as details might change any time by the organisers without warning.